A native of Wichita, Kansas, George R. Tiller attended the University of Kansas on a swimming scholarship, completed a Bachelor’s degree in zoology in 1963, and graduated from the University of Kansas School of Medicine in 1967. He served his medical internship as an officer in the Navy at the U.S. Naval Hospital, Camp Pendleton, California. He then graduated from the Naval Aerospace Medical Institute Flight Surgeon School and became a U.S. Navy Flight Surgeon. In 1970, upon the death of his father, mother, sister, and brother-in-law in a plane crash, George returned to Wichita to assume his father’s general medical practice and later became the Medical Director of Women’s Health Care Services. Wichita remained George’s home until his death in 2009. Dr. Tiller was a board certified Diplomat of the American Academy of Family Physicians and practiced for more than 40 years. 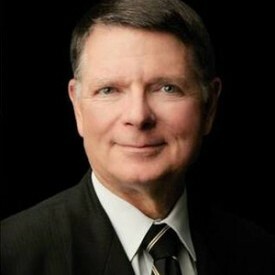 He was a valued and respected member of Wichita’s medical community. At Wesley Medical Center, he was a former past president of the medical staff, a member of the executive committee, and a clinical instructor in the Department of Family Medicine. He was the Medical Director of Women’s Alcoholism Treatment Service for the Sedgwick County Health Department for several years. He served as one of the team physicians for the Wichita Wings, a professional indoor soccer team. Dr. Tiller participated in a variety of national organizations in support of reproductive health, and was a highly-recognized international speaker and lecturer. His life ended, violently, in May 2009 as he ushered at his Wichita church. His devoted wife, Jeanne, his four children, and his 10 grandchildren lost him forever on that day, but they did not lose their direction or hope in establishing a fitting legacy in his memory. The family invites nonprofits serving Kansas to join them in their mission to continue Dr. Tiller’s efforts to make appropriate health services readily available to women in need. The George R. Tiller, M.D. Memorial Fund for the Advancement of Women’s Health seeks grant requests from nonprofits serving Kansas to continue his vision of helping women help themselves. These grants will provide comprehensive health services, support and compassion to vulnerable women to enhance their ability to realize their dreams. The Tiller Fund requires that all requests focus on reproductive health and services to women in need. The Fund will not accept grant requests for business expense operations, advertising, travel, scholarships, transportation costs, rent, living expenses, tables at charity events, capital or endowment campaigns, publications, or computer equipment. All applicants to the George R. Tiller, M.D. Memorial Fund at the Wichita Community Foundation must be in good standing with the Kansas Secretary of State’s office, must be currently exempt under IRS Section 501(c)(3), and classified as an organization to which contributions are deductible under Section 170(c)(2), normally a public charity under Section 509(a). Requests from the George R. Tiller, M.D. Memorial Fund should not exceed $10,000. Applications are available online only and cannot be saved and returned to at a later time. If you do not have access to a computer, please visit your nearest public library for access. All grants are awarded at the discretion of the advisors to the Tiller Memorial Fund, subject to the approval of the Board of Directors of the Wichita Community Foundation. Nonprofits will be notified of awarded grants in mid-May, 2019. Program start dates will be from June 1, 2019 to May 31, 2020. Checks will be mailed on or before June 1, 2019.